This page is background for both national socialism and the cathedrals section. The devastation along the front line in World War One is a disaster almost beyond reason. While this page concentrates in major part on the damage to great cathedrals, keep in mind that while tragic, that is just a small part of the German vandalism in France. Even other churches destroyed number many times that of the large cathedrals damaged and razed. Cambrai cathedral was completed in 1274. In 1791, the cathedral was assigned to the “culte constitutionelle”, the version of the Catholic Church as sanitised by the Revolutionaries, but was damaged in the following year, and in 1793 it was converted into a grain store. 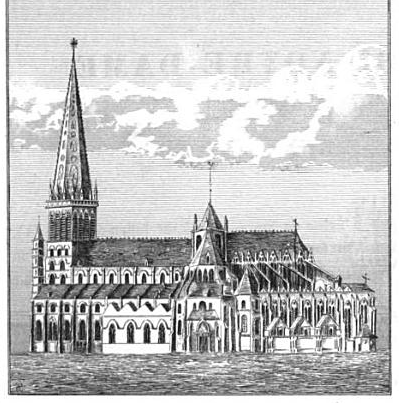 In 1796, the cathedral was sold to Blanquart, a Saint-Quentin merchant, who progressively demolished the building and sold the stone. At the beginning of the first French Empire (1804–1814), there was a plan to keep the steeple, then still standing, as a monument to Fenelon, but the plan was abandoned as too costly. Then in 1809, a storm overturned the steeple. Today, we know this monument by a few documents - two high precision drawings made by a military painter of Louis XIV, Van der Meulen; two photographs of the scale model part as part of a City survey in 1695 by the Royal Military Engineers (this model destroyed by allied bombing of Berlin in 1945); statements made on a proposed monument to Fenelon; a watercolour painted by an English soldier at the end of the Empire. The old cathedral was not rebuilt. It was substituted by a church that was originally the church for the Abbey of St-Sulpice. This church was built between 1696 and 1703. The abbey church had survived the Revolution because it became a Temple of Reason. In due course, the building was re-consecrated, first as part of a bishopric in 1802, then as part of an archbishopric, and so a cathedral, in 1841. It did not escape German attacks in World War One. The current cathedral was restored after the end of WW1. More detailed history at Germans in France - Cambrai Cathedral. 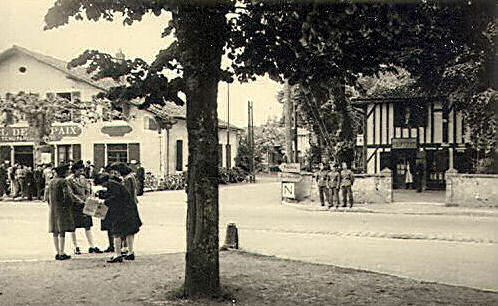 In 1914, the XIIth Saxon Corps had entered Reims. In fact, the envoys had taken a different route to the French lines and had never set foot in Reims. As well as the damage to the cathedral and other parts of the city, sixty civilians were killed and a further hundred and forty injured. A hundred and eighty-two shells fell on Reims, though fifty-six did not explode. By 5th October 1918, there had been 857 days of bombardment. For half a century Germany has been dominated by two forms of pride--military ambition and intellectual pedantry, the one engendering the other. She carried self-esteem and self-admiration to such a pitch that she believed herself, and told herself, that she was a nation without peer, a people-type marked out to be the head of the human race. She made herself a soldier that she might realize her dream, militarism being thus the servant of German Thought. She was to become" Greatest Germany," to extend ever farther afield, to mount ever higher, by force of arms and the spread of her culture: Deutschland über alles, Germany before all and above all, was to dominate everywhere, and to rule the world. “She had brought into being a formidable engine of war. She produced the illusion, or the impression, of a certain scientific superiority, ponderous and massive, like her soldiers, and like them also in strength. She paraded this achievement with such an air of assurance, with such haughtiness, such an accent of superb arrogance, that she imposed her conviction upon others. “And these two boasts fall simultaneously, in the same catastrophe: the military boast has been shattered, though not ingloriously, in those combats of giants such as humanity has never hitherto witnessed; the intellectual boast has foundered miserably amid orgies of cruelty, of villainies, of stupid malevolence, which are only to be matched in the worst periods of history, and are on a par with the vilest excesses of barbarian hordes. 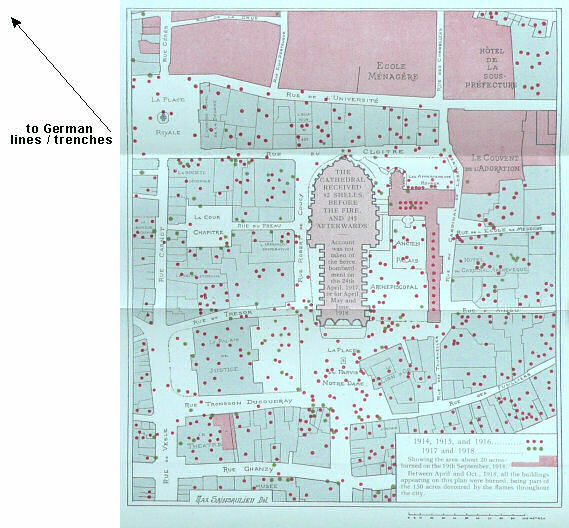 The following map shows where shells fell around Reims cathedral during 1914 to 1918. 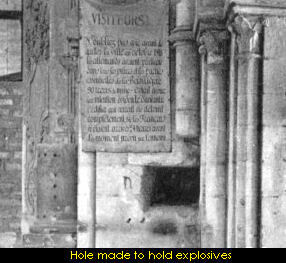 The cathedral itself received a total of 287 shells. Shells are gun-launched bombs of various types, including incendiary and gas. More detailed history at Germans in France - Reims cathedral. The cathedral was the target of much revolutionary zeal and bile, as Noyon was so closely associated with the French monarchy. In 1793, the statuary of the west and transept portals were ordered destroyed, an order that was carried out with great efficiency. Only four small corbel figures survived, which had been covered up. So the marvels of the statuary’s carving has been lost. 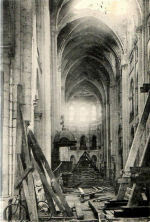 Noyon was probably the most important cathedral after Reims. It was very early: 1150 - 1200. Fortunately, its big brother at Laon remained undisturbed, and the restoration at Noyon, continuing almost up to the Second World War, has recovered as much as could be expected. The revolutionary government eventually ordered the cathedral be sold, but the price put on it was so high that this did not happen, and eventually the horrors of the revolution receeded. It was used as a hay barn, granary, stable and dance hall, again the usual combination of dedicated revolutionary desecration and utility. More detailed history at Germans in France - Noyon cathedral. A twelfth-century cathedral, used as a warehouse during the 1789 Revolution and much damaged, received its worst affronts during World War One when the tower’s upper section and the nave’s first three bays were completely destroyed. 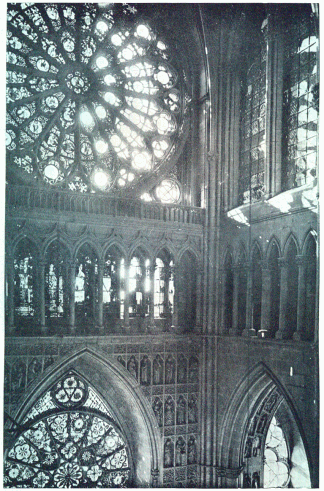 The cathedral was expertly restored in the late 1920s. More detailed history at Germans in France - Soissons Cathedral. The situation at Arras was very similar to that at Cambrai during the first world war. For more detailed information, go to Germans in France - Arras cathedral. Verdun, also close to the front line, was badly damaged by German bombardments. For further information, go to cathedrals in lorraine - the three bishoprics. The city of St. Quentin was occupied by the German army from August 1914 to October 1918. 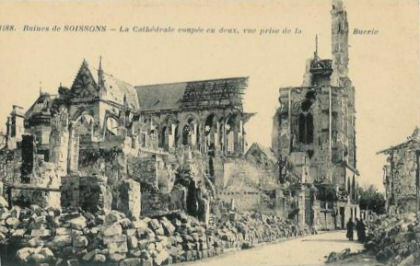 During this time, there were many attempts to dislodge the Germans, resulting in the near total destruction of the cathedral, leaving just the outer walls. When St. Quentin was relieved by French troups on 1st October 1918, chasing the Germans so they left the city precipitately. On entering the cathedral, the French soldiers were outraged to discover in the walls and pillars, ninety-three holes made and filled with explosives so the edifice could be blown up as the Germans had done to the donjon of Coucy in 1917. Some of the holes were 110 cm deep, 80 cm wide and 70 cm high. A German engineer captain was found left behind to do the diabolical chore, but he was stopped in time. For more detailed information, go to Germans in France - St. Quentin cathedral. “We taught them a lesson in 1918. The French transbordeur bridges erected close to or in naval bases or sea ports did not fair well during World War Two. 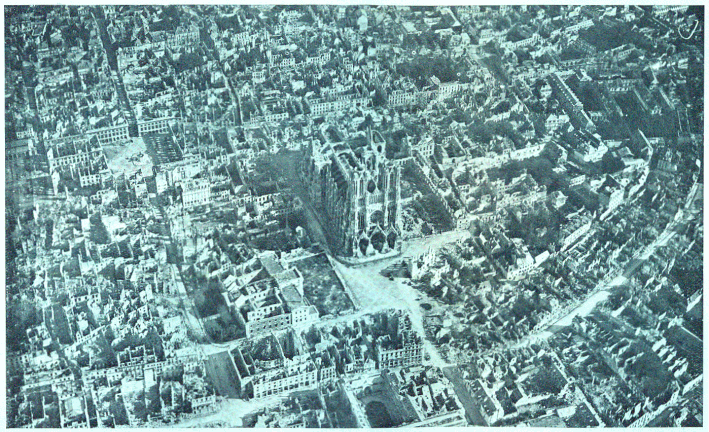 Rouen: Destroyed by French troops in 1940 in order to slow the German advance. Brest: Erected in the naval base, this transbordeur was damaged in 1944. It was demolished completely in 1947. 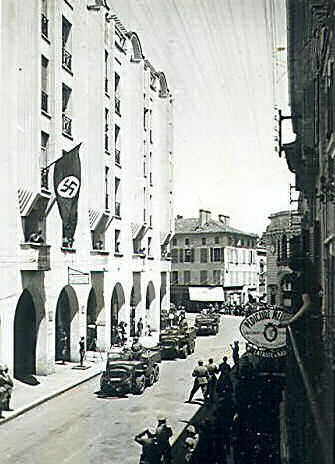 Marseilles: Destroyed by the Germans in 1944, on the day before marseilles was liberated by the Allies. Bordeaux: Never completed, the two pylons were dismantled by the French so they would not be available to the German invaders. transbordeur/transporter bridges in France and the world 1: why, who, when, where. The great prize that Hitler wanted was to capture the fortress stronghold of Gibraltar. From there, Hitler could cut off the Mediterranean. Franco had other ideas. “In the north, on the only two roads over which it was possible to pass into Spain there suddenly appeared massive concrete fortifications and roadblocks. Spain did not lack sand and cement, and hundreds of tons of concrete were poured as if overnight. To the sides of the roads the engineers used dynamite to create vast craters as tank traps. Everywhere that vehicles and men on foot might pass, obstacles were placed to make passage impossible. 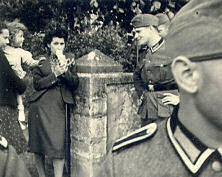 Franco and his Ministers had mobilized the Army Engineers in an operation without name but in direct reply to Ilona. “They divided the Pyrenean area into five defensive regions. The key frontier bridge that spans the Bidesoa River that links Spanish Irún to French Hendaye, in bad condition, was weakened still further and mined with enough explosives to blow it out of existence in sixty seconds. Teams of men rotated duty twenty-four hours a day to protect the mines from being defused, or to detonate the charges when ordered. “Five dams were prepared to be opened wide enough so that within hours their waters could flood the region, making it as marshy and boggy as later in the year the winter weather would do naturally. Farmhouses became arsenals for the implements of guerrilla warfare: knives, guns, hatchets, gasoline, dynamite? Anything that could kill a soldier and destroy his vehicles. “The two guardias civiles at the customs barrier at Irun stood at their posts, looking into France at the German tanks and trucks and half-tracks, at the field artillery and the thousands of tents that housed the hundreds of thousands of men of the Wehrmacht. They stared at them as they had stared at them in never-lessening terror for one week short of three years. See also Fascism is socialism: Franco was not a Fascist. These two following books are clumsy and mawkish but popular attempts to weave ‘romance’ against a background of the horrors and seediness of the German attacks and occupations, during the First and the Second World Wars respectively, in France. The first book, Birdsong , is considerably more use than the second. You may find them interesting to read for the background research. This is a romantic speculation. There is no known evidence for this claim, but an accretion of unsupported myths. 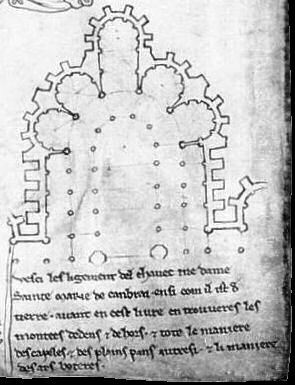 We know nothing about Villard de Honnecourt outside the existence of his pages of sketches. German shells during the first world war included 12-in., 14-in. and 15-in shells. A 14-inch shell would weigh approximately 850lbs/390kg. These are fired from huge guns, whether cannon or mortars/howitzers. They had originally been mounted of battleships. On land, some were then mounted on trains, able to absorb the heavy recoil by the gun carriage rolling about 100 yards along the line. A corbel is the supporting plinth of a pillars and or column. As such, it is a structural part of the cathedral. Hitler had over two hundred divisions at this time. This was no token force and continued in place while he was attacking Russia. 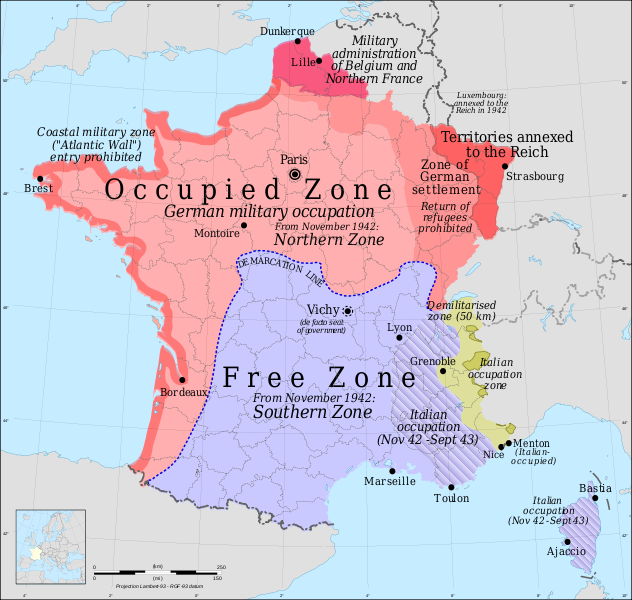 Of course, Germany was impoverishing France in support of its mad ambitions. A Hermes scarf, ultimate fashion accessory of ‘good taste’ and beauty.